If you are trying to get organized and have got things into bins such as off season supplies and more, then pat yourself on the back for all the effort. It is a great feeling to get it all organized and neatly labeled. But now what? You are standing there looking up in your attic at the spot you have created for the storage with the attic storage shelving system but now scratching your head trying to figure out who you know that has a strong back to take these bins up into the attic or even the higher shelves in the garage. I thought this was the perfect way to save your back. This equipment holds storage bins perfectly and holds up 200 pounds. 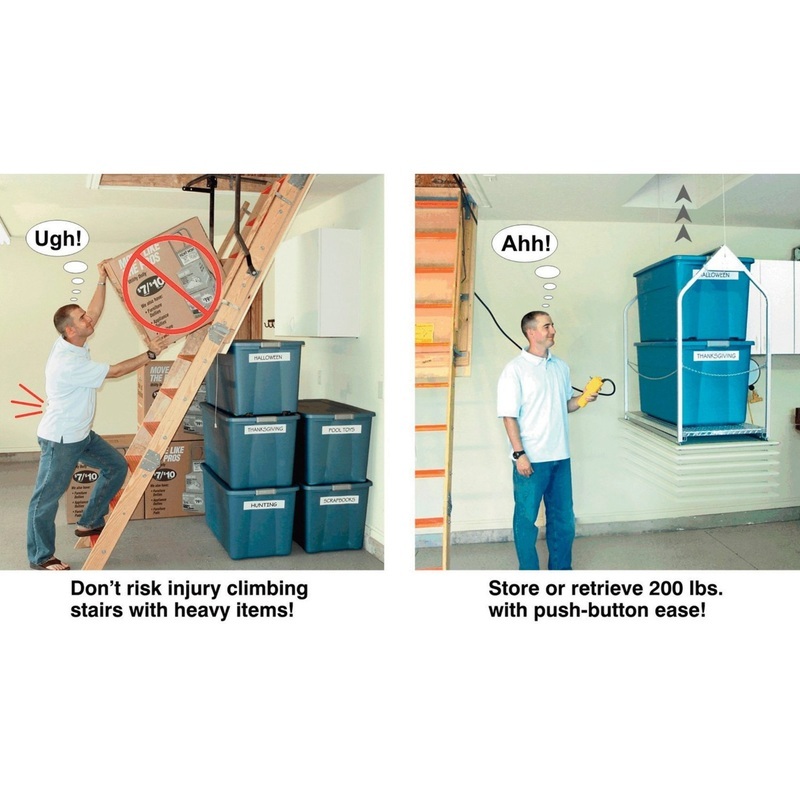 So instead of injuring yourself getting your storage bins and items into attics and garage attics, this is something to consider. Great for taking them out of storage as well. This product has a 5 star review and customers have used it to move all kinds of things from one floor to the next. As long as there is an opening large enough for your bins, then you can move them. It is almost like having your very own forklift or attic elevator. 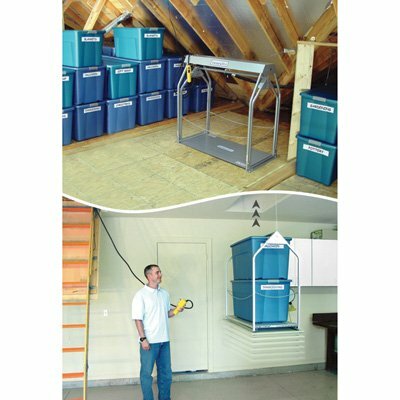 Using your attics whether in the house or garage is the perfect way to get organized. These areas are perfect for storing things that don't get used often or off season such as Christmas decorations, sports equipment and more. Just make sure you label your bins well, so you don't forget next season which bin has what, and then you can use your attic elevator once more.